Variable Stars - Astronomy & Technology by Manos Kardasis, "Dimitra Observatory"
Variable Stars were the first field of observational Astronomy that I was activated at in the late 90's. 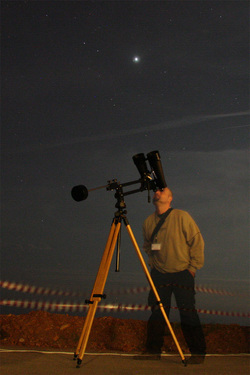 George Stefanopoulos, an experienced Var.Star observer, showed me how to do scientificaly useful observations. 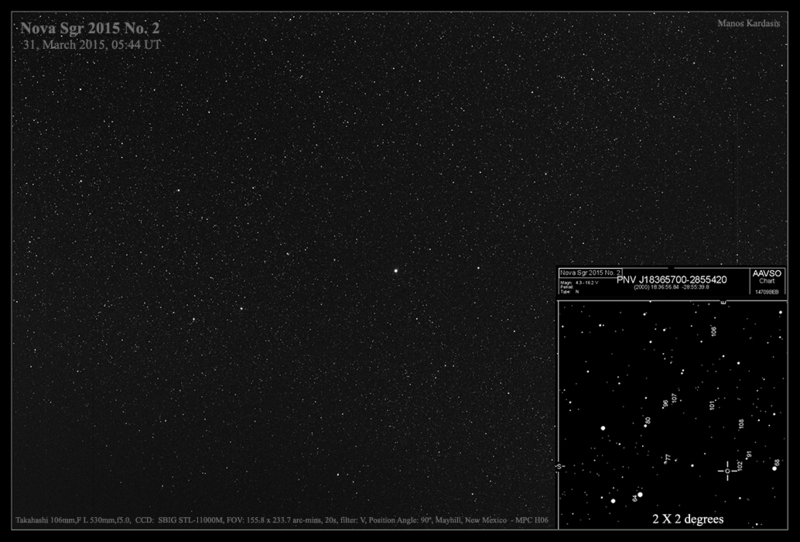 I send my first observations to AAVSO in 2002. Till then I 've send more than 1000 observations. Most of my obs are made with naked eye or binoculars. 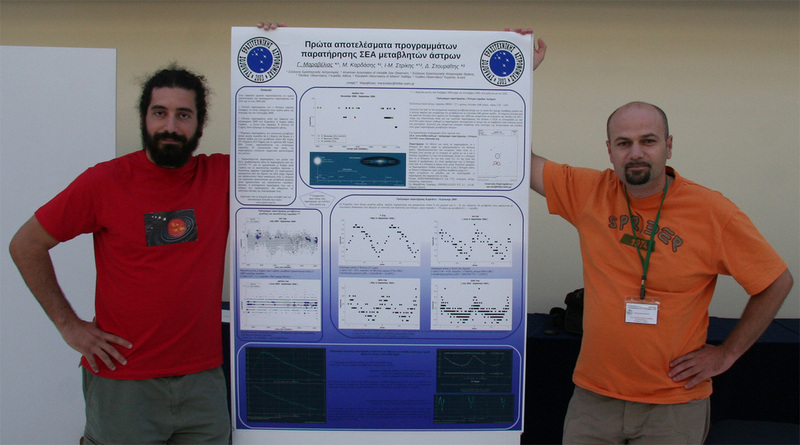 My first articles on Var.Star observing in Greek can be found on the site of HAAA. I' ve made many workshops (private & public) on this field. In HAAA Var.Star Section we've tried to motivate the Greek amateur community in making and sending observations to international organizations like AAVSO. I was glad to be awardedin the 101st Sping Meeting ofAAVSO for my small contribution to Variable Star Observing ! Eίμαι ιδιαίτερα χαρούμενος που τιμήθηκα απο τη ΑΑVSO για τις παρατηρήσεις μεταβλητών άστρων την περίοδο 2002-2011!